The CFTC chairman (Commodity Futures Trading Commission), J. Christopher Giancarlo says that bitcoin is like gold but it isn’t an ideal medium of exchange. Most of the cryptocurrency enthusiasts refer Giancarlo as that “Cryptodad” because of his willingness to engage with nascent industry with a positive mind. During an interview with CNBC, he mentioned that bitcoin is not an ideal medium of exchange. Moreover, the markets regulatory speaking with the network from annual Milken Conference which was held in Los Angeles added that it is quite difficult to neatly fit bitcoin and the other cryptocurrencies into the current regulatory classifications and majority of them date back to 1930s. 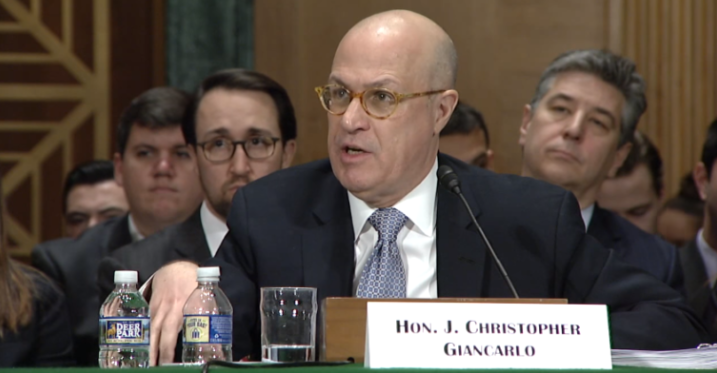 While the lawmakers and regulators had a debate whether CFTC and SEC (Secutirites and Exchange Commission) have the authority to oversee cryptocurrency markets; however, Giancarlo has stressed a lot that such actions should only be made at legislative and not the regulatory level. CFTC is also investigating cryptocurrency related frauds and market manipulation. Needless to say it doesn’t have the authority to supervise trading platforms on a daily basis.